December, 2014. The new product by Canyon has been presented – the convenient stereo headset with quality leather pads and inline remote. The headset provides good noise isolation due to the around-ear design of the headphones and and their great sounding quality. 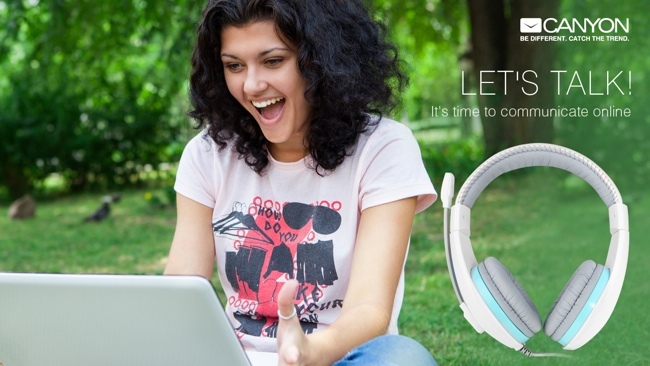 The universal plug type makes this headset compatible with all devices – laptops, PC, tablets and smartphones. Enjoy the freedom of communication, music and games.